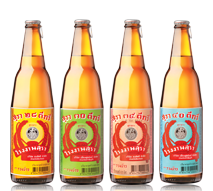 The company group within Thai Beverage Plc. has a long experience in production and sale of all kinds of Brown Spirits, White Spirit, herb and Others. There are 18 distilleries in the group and an import company to cover the demand of local consumers and for export worldwide. 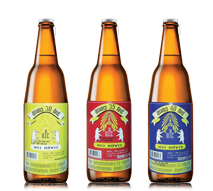 The group also plays a significant role in developing local liquor to match those produced anywhere in the world. Rum is a kind of liquor derived from distilling cane juice, sugar or molasses until the product is with 60-95 degree alcohol content. The content will then be mixed with purified water to produce a satisfactory level of alcohol content before being transferred to age in charred oak barrels for at least one year. Before being bottled the liquor may be further mixed to adjust for desired color, aroma, and taste. Mangkorn Thong is a blended liquor among fine quality alcohol from several distilleries, mixed with concentrate of fine herbs to give a good smooth taste. Hong Thong brown spirits is the premium spirits blended by a number of raw materials well accepted internationally. It is produced by Bangyikhan Distillery which is well accepted internationally for its brewing process. Distillery Sura Bangyikhan Co., Ltd.
SangSom Special Rum is a rum that has to undergo a special production process, resulting in a fine liquor that has been distilled and aged in oak barrels for 5 years, after that, it is blended with a special concentrate of finely selected herbs and spices and the best quality alcohol to give SangSom that special taste and aroma. The liquor won a gold medal in the liquor competition in Madrid, Spain, in 1982 and 1983, and won another award in the liquor competition in Dusseldorf, Germany in 1983. Since then, it has been known among its connoisseurs as "SangSom Gold Medallion". BLEND 285 is blended spirits that uses the traditional blended Scotch whisky process. Malt whiskies from Scotland have been used to create a smooth and aromatic blend. Also, double distillation and maturation process enhance the exceptional smooth taste with a hint of smoky aroma. Type of Content Round bottle 700 ml. Distillery Red Bull Distillery (1988) Co., Ltd. Type of Content Round bottle 1,000 ml. BLEND 285 Signature is blended spirits that uses the traditional blended Scotch whisky process. Malt whiskies from Scotland have used to create a smooth and aromatic blend. Also, double distillation and maturation process enhance the long and smooth finish with the complex taste. Type of Content 700 ml. Type of Content 1000 ml. 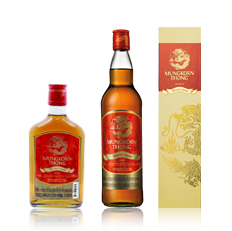 Mekhong is a special blend of 35 degree liquor, a product of Bangyikhan Distillery, the first distillery in Thailand. 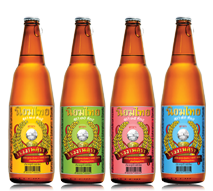 Mekhong was first produced in 1941 when the Excise Department's main aim then was to produce a Thai liquor with a high standard of production and taste to replace imported products. It also underwent extensive development in appearance, production process and taste from 1943 to 1946. Type of Content 375 ml. and 700 ml. Type of Content Round bottle 700 ml. and Round bottle 350 ml. 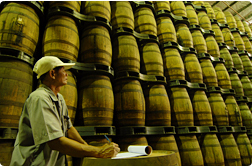 Distillery United Winery & Distillery Co., Ltd.
PHRAYA sits among the finest rum in the world, by using only carefully-selected top quality rums. It is made from sugarcane nourished by rich, fertile soil of Nakhon Pathom. 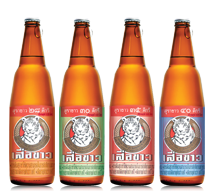 Distilled using natural water from the Tha Chin River, one of the main rivers of Thailand. 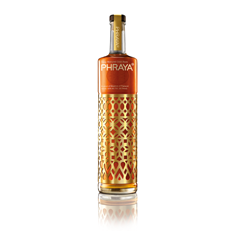 PHRAYA is aged in oak barrels that are ‘fired’ to invigorate the wood within the cask and impart the rum with nuances and deep matured in warehouses over cool lagoons, allowing seven up to twelve years to breathe quietly and develop its inimitable complex, yet smooth character. 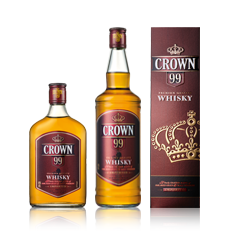 Crown 99 is an Admix that is a produce derived from Scottish malt whiskey, aged for years, and then blended by experts from Scotland. Type of Content Half bottle 350 ml. and Round bottle 700 ml. Distillery Red Bull Distillery(1988) Co., Ltd.
Transcending throughout two centuries of generations of masterblenders, Drummer whisky provides Scotch whisky lovers with amber-colored distilled spirits filled with sensual fruitiness aroma. The appealing taste of the whisky offers the real and unique Scotch whisky experiences. White Spirit is a liquor derived from meticulously fermenting and distilling process with careful quality control in every step of production in a modern laboratory. The water used in mixing with the liquor is purified, without foreign elements, and is permitted by the Department of Industrial Works to be used for the purpose. This helps produce the liquor with fine taste. Type of Content 625, 330 ml. Type of Content 750 ml. Distillery Red Bull Distillery(1988) Co.,Ltd. Distillery United Winery & Distillery Co.,Ltd. Type of Content 330, 625 ml. Type of Content 625 ml. Distillery Sura Piset Thipharat Co., Ltd.
Distillery United Products Co., Ltd. Type of Content 640 ml. Herb liquor is a kind of White Spirit mixed with concentrate Thai-Chinese herbs and good quality alcohol, and then blended to the specified standard. They are categorized according to the types of concentrate herbs mixed. Siang Chun is a kind of White Spirit mixed with concentrate herbs and good quality alcohol, and then blended to the specified standard. 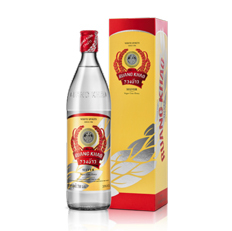 Sua Dum is a kind of White Spirit mixed with concentrate herbs and good quality alcohol, and then blended to the specified standard. Choo Sip Niw is a kind of White Spirit mixed with concentrate herbs and good quality alcohol, and then blended to the specified standard. Kulov Max 7 is a ready-to-drink Pre-mix Spirits with 7% alcohol level in the flavour of energy drink. 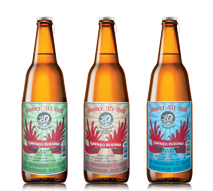 It has a modern and international design in a slim can format 250ml., which is convenient to grasp and go. With this coolness, Kulov Max 7 offers young generation a fast start for having fun and happiness moment throughout the night. For better tasting, serve chilled would be recommended. Type of Content 250 ml. Star Cooler is a ready to drink wine cooler with 5% alcohol level. Every bottle of Star Cooler is made from a selection of the finest ingredients then pass through the advance of production process. This distinct character of a grape wine enhances the fresh and mellow flavour in the mouth. Star Cooler is available in 2 flavours, Star cooler RED wine and Star Cooler CLASSIC wine. 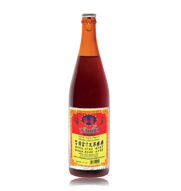 Star Cooler RED is a full bodies red wine with delicate aroma. Star Cooler CLASSIC is an aromatic sparking rose wine with a balance fruity sweetness and refreshing finish. Both of the Star Cooler are in the distinctiveness and appeal design. Plus, a light alcoholic content of just 5% has made Star Cooler a perfect drink for any occasion. It is exclusively available at 7-Eleven nationwide at reasonable price. Type of Content 275 ml.